Cafe 49 is attached to Shinbashi, a rather well known Japanese restaurant in midtown Manhattan. For a long time, the cafe served as a casual lunch spot to pick up bentos and sushi, along with a bottle of and a bottle of oolong tea for lunch. Recently though, they’ve expanded operations by transforming it into happy hour sake and izakaya-style snack bar after 5:30 under the name Sake Cafe Shinbashi 49. The idea at Sake Cafe Shinbashi 49 is to invoke the idea of a Japanese tachinomi (standing) bar. When you walk in, you are greeted by a large, and from my perspective at least, extremely inviting table filled with bottles on ice, prepared for tastings. It’s important to note that while seating is also available in case you would rather not have the tachinomi experience. 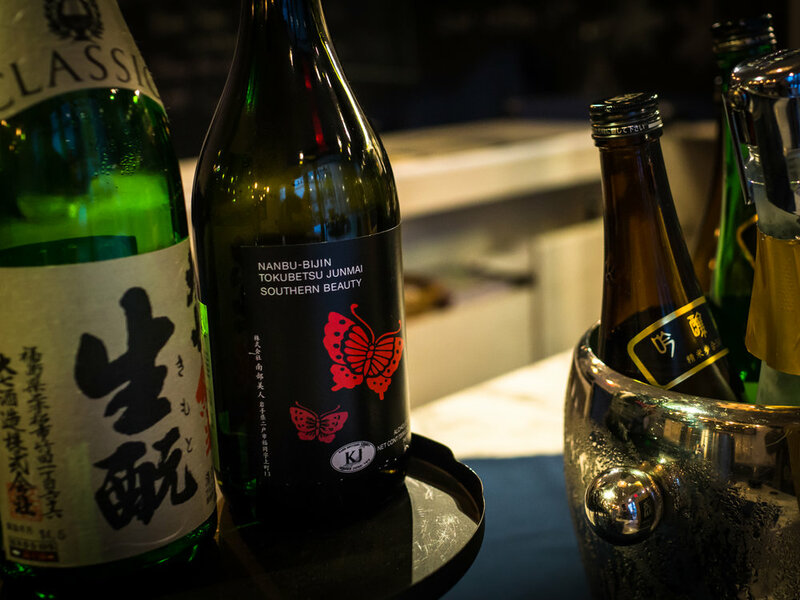 Their sake selection includes many familiar selections like Ohyama and Ichinokura along with an eclectic assortment of additional bottles, many of which are difficult to find in New York, including some fantastic seasonal namas. The sommelier, Hiromi Kiyama and her staff are excellent hosts and quite enthusiastic about helping their guests learn more about sake. though they have only been open for a short period, they’ve already expanded their menu to include an assortment of Japanese craft beers, a market which has absolutely exploded in japan over recent years. I’ve found Sake Cafe Shinbashi 49 to be excellent at what it sets out to do, it’s great place to enjoy a quiet, relaxing drink before heading home after a long day at work.